Mike Hawes became SMMT Chief Executive on 2 September 2013. 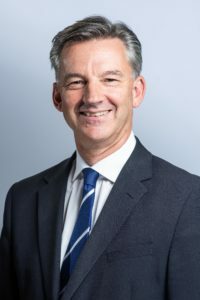 He has more than 20 years experience in policy and public affairs, the majority of which has been spent in the motor industry. He joined SMMT from Bentley Motors where he held a number of PR, corporate and public affairs roles. Prior to that, he also worked for both Toyota and, more recently, Bentley’s parent company, Volkswagen AG, where he developed the European and global knowledge needed for this challenging role.